Have a High Need Baby, and Thinking of Sleep Training? Are you dealing with any of the following? The one thing I think is true of nearly every person reading this is that the idea of sleeping through the night and having restorative 1-2 hour naps feels like an unattainable dream. Are High Need Babies Destined to be Poor Sleepers? Since you’re on this site, chances are you have a high need baby or toddler who’s struggling with sleep. When people ask, “Is he sleeping through the night yet?”, you probably want to scream. You’d be thrilled if your baby was only waking 3 times a night, never mind sleeping through the night! And yet, you may have been told that high need babies are simply programmed not to sleep. That these are the kids who are destined to be poor sleepers, and they can’t learn new ways of falling asleep. In other words, that sleep training doesn’t work for these kids. Or, you may be wondering what sleep training (or sleep learning) looks like with high need kids. Does it actually work for these sensitive, persistent little babies and toddlers? Which methods work best? How long does it take? Do I have to let my baby cry it out, or are there ‘no cry’ methods? Can I do it myself, or do I need a sleep coach? Before we go on, I thought it important to share my story. It begins back in 2004, when my daughter was born. She was high need, although I wasn’t familiar with the term back then. I just thought she was grumpier and more particular than other babies! As a newborn, I was able to find ways to get her to sleep. Usually if I would rock her, she would eventually drift off to sleep. However, as she got a bit older, rocking stopped working. I tried every method I could think of to help her fall asleep: bringing her into bed with me, walking her around the neighbourhood in a sling or stroller, the Baby Whisperer’s techniques...everything I could think of. Nothing worked! I read every baby sleep book I could get my hands on, but nothing seemed to work for my intense, persistent, active little girl. 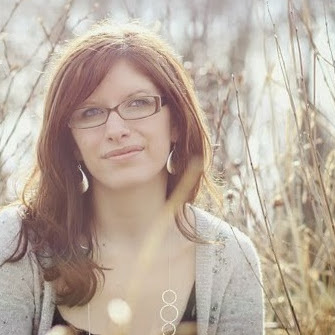 To be honest, I felt like a failure as a mom; I knew she desperately needed sleep, and yet I had no idea how to help her get it. Then my son (pictured above) came 2.5 years later. Talk about feeling like a failure! He had troubles sleeping from day 1. He slept in 45-minute increments, day and night. Feed 45 minutes, sleep 45 minutes. And he would wake up screeching every time! I had no idea babies (or grownups!) could get so little sleep and still survive. So believe me when I say I understand what you’re going through! Over the past 10+ years, I have interviewed leading experts in the field of colic and fussiness, have been interviewed for media outlets like Parents, CBC Radio and Motherly, and am a regular contributor to Huffington Post's parenting section. I am also working on my masters degree, and continue to provide daily support to over 30,000 parents through our Facebook support groups. It's my passion to help parents of fussy, colicky and high need babies and toddlers! The idea for this book came to me a few years ago. I regularly talk with parents who feel helpless to do anything about their high need baby’s sleep. While I would never push sleep training on any parent, I really wanted tired moms and dads to know the facts, and to feel empowered to make a decision they can feel good about! Anyone looking for a black and white approach to sleep training (that certain types are bad or wrong, while others are good). This book is a wonderful combination of information, facts, real-life experiences, and resources. After reading this, I was able to make a more well-informed and less fearful decision in sleep training! After reading almost every book on sleep training and following the advice of various family and friends, I thought I tried it all. This book opened my eyes to new methods. The work's all done in this book! This book was very reassuring. It made me feel like I was not alone in...our struggles with sleep. Knowing others had the same issues and were able to overcome them made me feel better about starting our sleep journey. Does sleep training actually work for high need babies? Does sleep training equal ‘cry it out’? What methods are available to me? Are there are any gentle or ‘no cry’ methods I can use? What should I expect when sleep training a high need baby? How long does it take high need babies to ‘get it’? What does the research say about the safety and effectiveness of sleep training? This book also contains personal stories from parents who have helped their high need child learn to sleep using various methods: ranging from gentle, gradual methods to methods that involve more tears. These stories are a capstone of the book, giving you ideas for developing your own sleep training strategy, and helping you decide whether to go the DIY route or hire a sleep coach. [This book] was SO encouraging to me. My daughter is very sassy, passionate and high needs. After 13 months of co-sleeping and being absolutely miserable, thinking my daughter would never sleep... or that she even lacked the ability to sleep well at all! 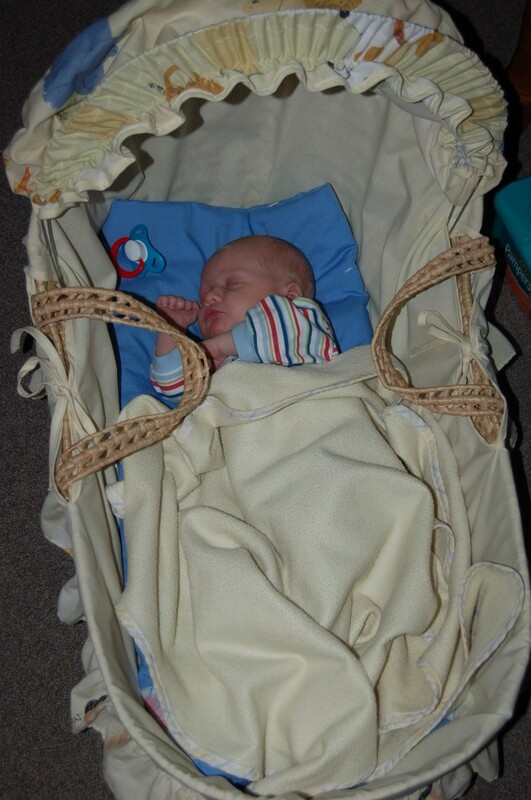 We were at the end of our rope and tried sleep training and now things are so much better! I thought it was "cruel" and for "over scheduled" parents who just didn't have time to co-sleep...but I was wrong, and I am humbled and happy to have learned that. Moms are not selfish for wanting sleep for them AND for their babies. So, thank you for your book and all the things you write! 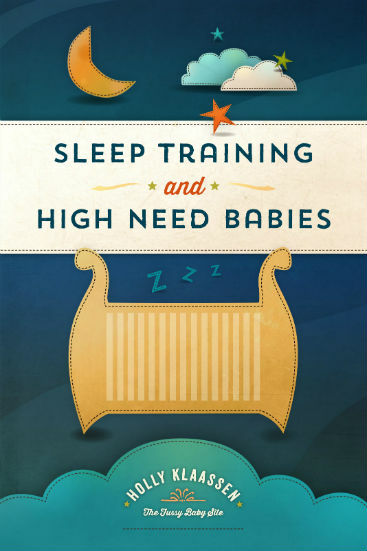 - Laura C.
Download Your Copy of SLEEP TRAINING AND HIGH NEED BABIES Now! This 60-page eBook is written in clear, easy-to-read language so you can download and read it as quickly as possible. If you’re at the end of your rope, or your usual methods of getting your baby to sleep are no longer working, it may be time to take the next step and decide whether sleep training is right for your family. This ebook will help you sort through the clutter, so you can be confident in your decision whether to sleep train or not. No guilt, no second-guessing, just a solid plan of action for how to get your entire family sleeping! You will receive all 3 versions of this eBook regardless of what option you choose. *Bonus: Order now and receive my 20-page guide, "How to Create the Ideal Sleep Routine for Your High Need Child", and my "Sleep Training Fact Sheet", free! 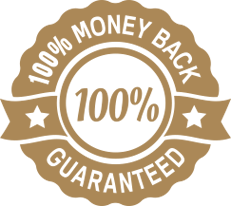 You are fully protected by our 100% Satisfaction Guarantee. If for any reason this ebook doesn't meet your expectations, simply request a refund within 7 days. We will refund your money, 100%, no questions asked. She had all the cues to being an overtired baby that you mentioned but wasn't one to fall asleep on her own. I read your site, ebook and your other info during a pretty crummy sleepless night. The next day as soon as she woke up I looked at the clock and implemented your sleep plan. She slept for 3 hours. I was shocked. It had never ever ever happened before. She would always sleep 15-30 minutes if she slept at all. It's changed my life and hers. I can't thank you enough for sharing this information.... Joanne N.